What’s in a letter? Of the 120 million bottles of Prosecco exported annually from Italy to the UK, the vast majority are marked with the letters ‘DOC’. This stands for ‘Denominazione di Origine Controllata’, a designation – akin to the French ‘appellation contrôlée’ – which certifies that the wine is authentically produced in the Prosecco region. Fewer than 10%, however, are labelled ‘DOCG’ – ‘Denominazione di Origine Controllata e Garantita’ – the highest designation of quality amongst Italian wines. The DOCG producers believe the addition of this extra ‘G’ marks their Prosecco out as something exceptional, and last week I headed to a tasting in Belgravia to find out if they’re right. 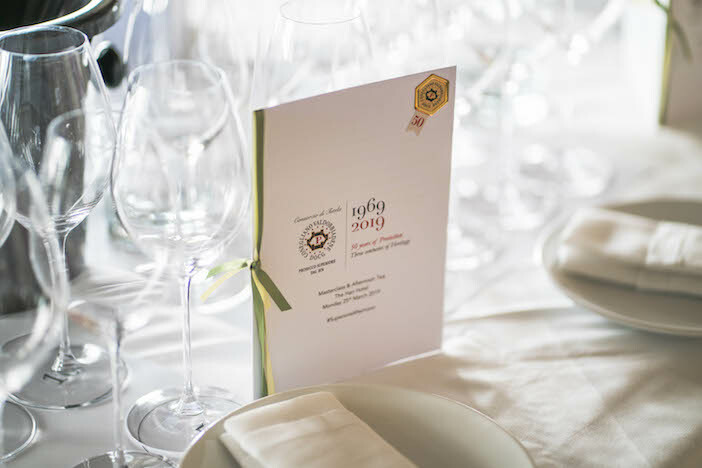 The venue for the event was The Hari Hotel, a five-star boutique hotel on Chesham Place, and our host was the ‘Consorzio di Conegliano Valdobbiadene’, a consortium representing most of the Prosecco producers who can boast that precious extra ‘G’ on their bottles. They’d engaged a British Master of Wine, Sarah Abbott, as our guide, and as she handed out her tasting-notes, I took the opportunity to speak to Giulia Pussini, press officer for the Consortium. What, I asked Giulia, lies behind the UK’s well-documented love of Prosecco? She put it down to two things. The first is the dip in Champagne sales that occurred after the 2008 financial crisis. Not only did people have less money to spend, but corporates were frowned upon for serving Champagne at business functions. Prosecco, as a cheaper alternative, found a receptive market. The second is the reorganisation of Prosecco production that occurred in 2009. The best winemakers were rewarded with the DOCG classification, whilst those with DOC designation increased in number. Prosecco was getting its house in order just at the moment when demand started to soar. Synchronicity, I believe they call it. Soon it was time to taste for ourselves whether that extra ‘G’ makes a difference. Sarah began by telling us a little about the provenance of the wines she’d chosen, explaining that Conegliano and Valdobbiadene are two hillside towns in the Veneto, situated between Venice and the Dolomites. The vineyards there – which grow the Glera grape – are amongst the most ancient in Italy, whilst the cool climate, and the sedimentary soil of marine origin, make for a fresh, breezy mountain wine that is still textured enough to be enjoyed with food. 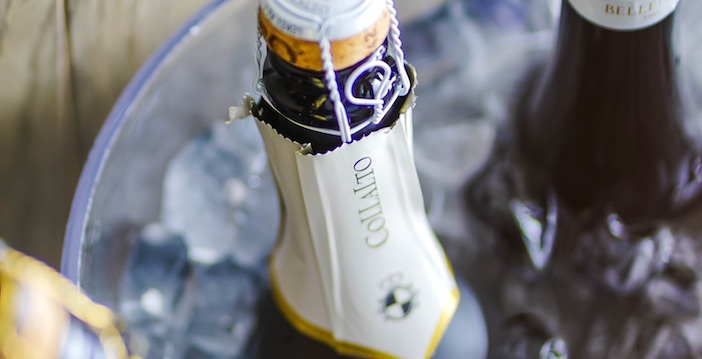 There are three main types of DOCG Prosecco, Sarah revealed – ‘Brut’ (0-12g of added sugar per bottle), ‘Extra Dry’ (12-17g) and ‘Dry’ (17-32g). The first five wines we tasted were in the Brut style, and their clean, crisp taste renders them very different to the DOC Prosecco I’m used to. 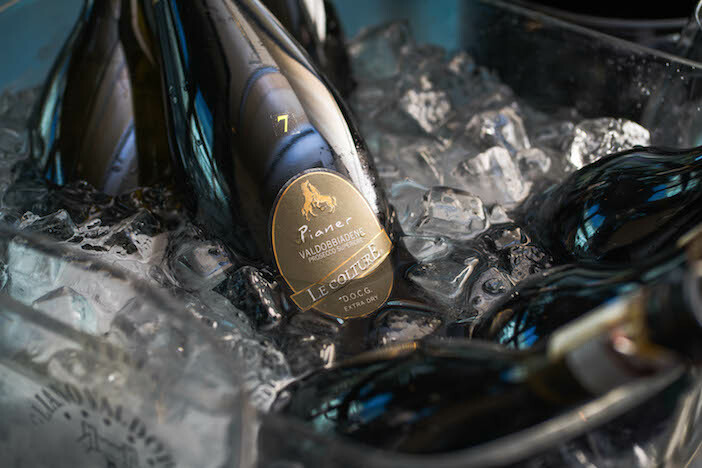 The ‘La Tordera’ in particular (available in the UK from The Vintner) had a wonderful white-peach aroma, and a sophisticated texture which made it the ideal accompaniment to the delicious little truffle arrancini served with it. 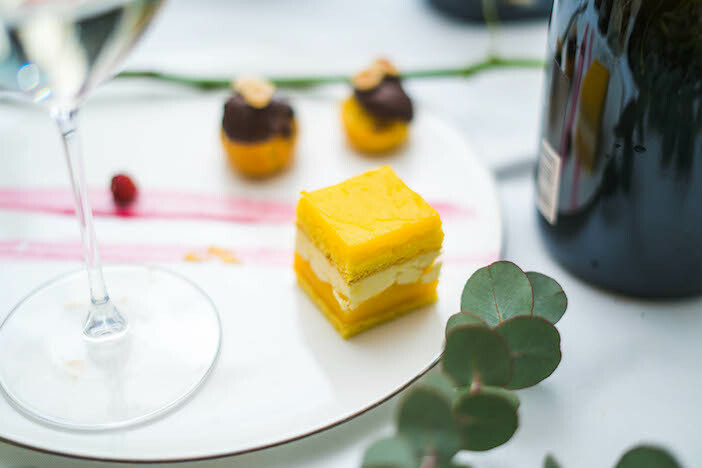 Next came the Extra Dry wines, a little sweeter than the Brut, and a perfect marriage with the petits fours we were offered – hazelnut bigné, lemon delight cake. I could easily imagine myself sipping a glass or two at a garden party as I attacked the passing trays. The pick of the bunch was the ‘Le Colture’ (available from Corney & Barrow), straw-yellow in colour, fragrant and appley in taste. We concluded the tasting with a Dry Prosecco from the most celebrated corner of the DOCG region – Cartizze. The terroir of this single, sun-drenched hillside is so valuable now that a local winemaker, who owns just one hectare, is known as ‘Mario the Billionaire’. The Cartizze we tried – ‘Bisol’ (available from Bibendum) – was markedly sweeter than the Extra Dry, but still well-balanced by full, savoury notes. Finally, the thorny issue of price was raised. If Prosecco’s success relies upon it being an affordable alternative to Champagne, then surely a premium version would undermine its USP? Sarah shook her head. Each of the wines we’d tasted cost between £12 and £25 a bottle – cheaper than the French equivalent, and just as wonderful an accompaniment to food. 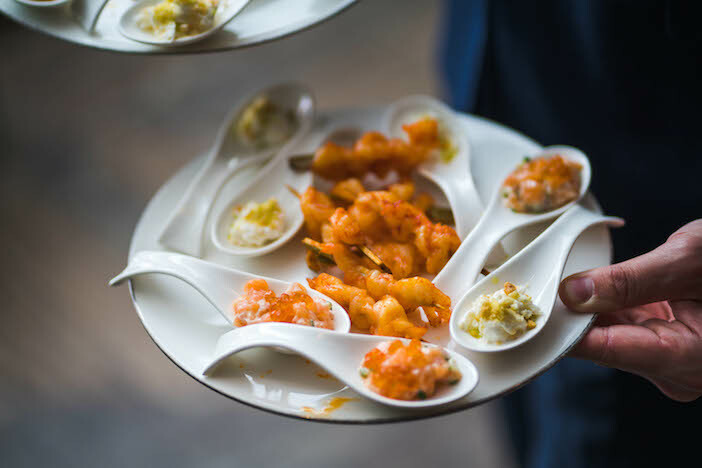 To which end, the Consorzio di Conegliano Valdobbiadene is in the process of organising a series of afternoon teas and dim-sum pairings with their wines in the coming months. In the meantime, I shall scour the shelves of my local wineshop for Prosecco with an extra ‘G’ – and will happily pay a few pounds more for the privilege. Tom attended the event to mark the 50th Anniversary of the Conegliano Valdobbiadene Prosecco. For more information on future events, and to gen up on all things Prosecco with a G, visit www.swirlwinegroup.com.